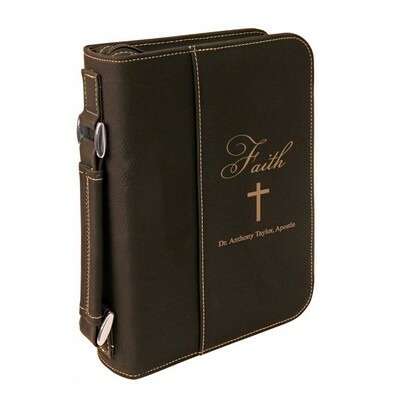 You have 175 characters left. 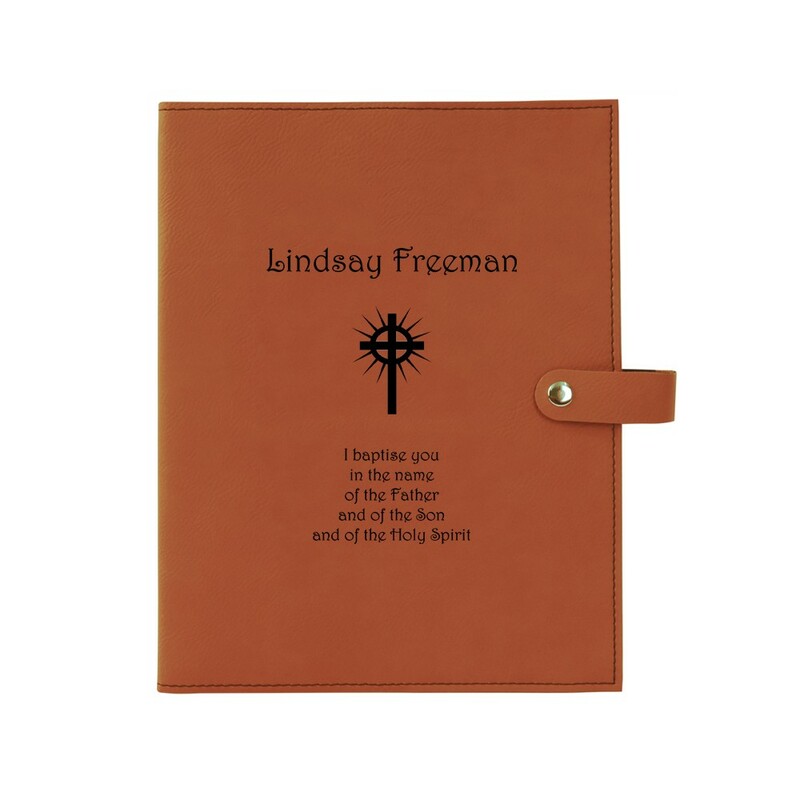 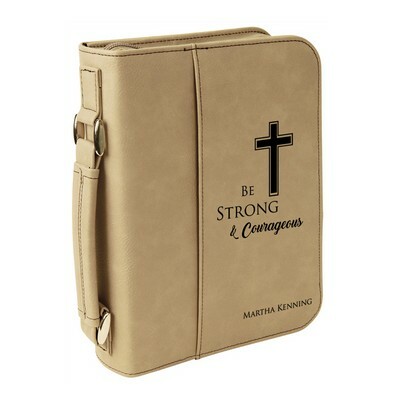 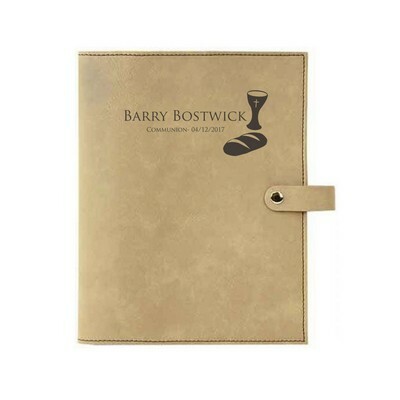 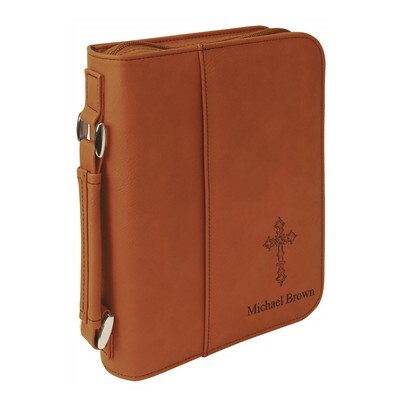 Our Rawhide Leatherette Personalized Bible Book Cover with Snap Closure is the ideal baptism gift for adults. 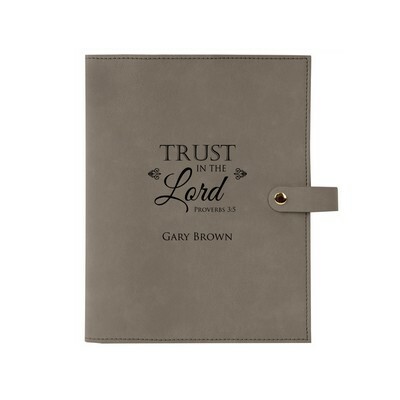 With baptism-specific scripture from Matthew 28:19, this Bible cover provides the perfect sentiment to commemorate such a special occasion! 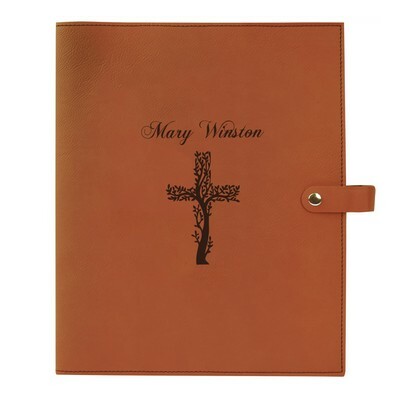 This personalized cover will also make a great gift for your child's or grandchild's baptism. 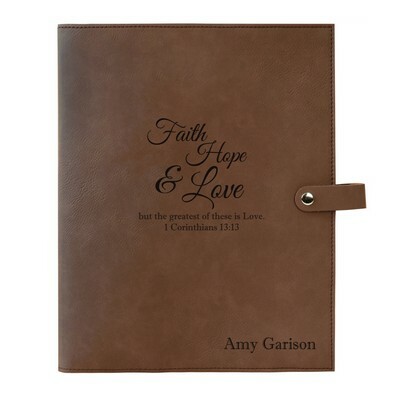 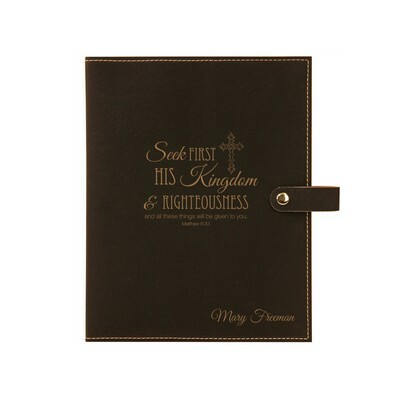 Plus, the slim design is less bulky than other Bible covers, making it easy for anyone to use. Personalize it with the recipient's name and baptism date. 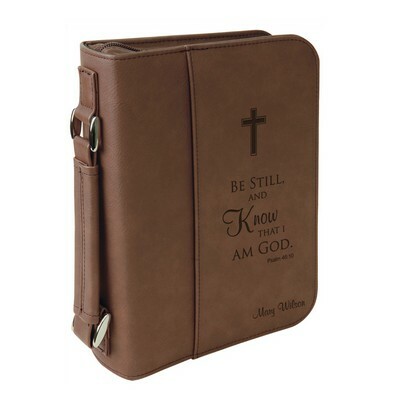 Interior includes black elastic pen band and two flaps to hold Bibles in place.